The Percona Live Call For Papers closes on December 22, but why aren’t you submitting already? Don’t wait till the last minute! Look at our broad scope as well. Worth noting that the best prices for tickets are available now until January 7. Percona Live Open Source Database Conference 2018 Call for Papers Is Now Open! Announcing the opening of the Percona Live Open Source Database Conference 2018 in Santa Clara, CA, call for papers. It will be open from now until December 22, 2017. Our theme is “Championing Open Source Databases,” with topics of MySQL, MongoDB and other open source databases, including PostgreSQL, time series databases and RocksDB. Sessions tracks include Developers, Operations and Business/Case Studies. Make a difference! See the world! Speak at Percona Live London; Santa Clara! Twice each year members of the global open-source community converge on London in November and Santa Clara in April to network with, and learn from, some of the world’s most experienced and accomplished system architects, developers and DBAs. And now it’s time for YOU to give back to this diverse and growing MySQL community. 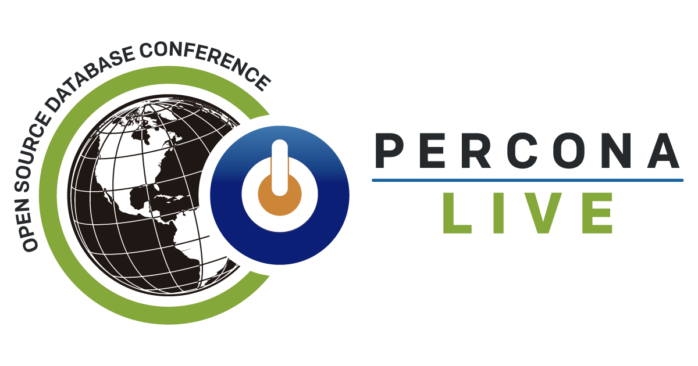 The Call for Speakers for Percona Live London (Nov. 3-4) closes Aug. 17 and the deadline for submitting talks for the ever-growing Percona Live MySQL Conference and Expo (April 13-16, 2015) expires Nov. 9. If you like putting things off until the last minute, then it’s time to get to work! Aug. 17 is just two days away and November will be here before you know it (think of how fast summer has gone by already). The Sept. 8 deadline is looming to submit your speaker proposals for Percona Live London 2013′s conference breakout sessions and tutorial sessions. In addition to fame (and dare I say fortune? ), if selected as a speaker by our amazing conference committee, you’ll receive a complimentary, full-conference pass. Breakout session submissions should be detailed to clearly indicate the topic and content of your session proposal for the conference committee. Sessions will be 50 minutes in length including Q&A. Why you should submit a paper for an Oracle User Group event. Just a few days ago I received a reminder email from Burke Scheld for the “AUSOUG National Conference Series – Perth 2011 – Call for Papers”. I had an event-related conversation with several Oracle guys in my professional networks and the answers I received triggered this blog post. Some of the very good Oracle professionals I personally respect said “…I am not sure what I would get out of it …” or “…I haven’t done anything exciting for the last FEW MONTHS …”. “Reminders work. At least on me.” I confessed in my previous CfP posting. Well, guess what also works on me? Deadline extensions! I aim at making most (ehh, all) deadlines, but at times, I fail. And I have observed similar behaviour in others. And therefore we have extended our CfP to 5 November 2008 (all fellow Europeans out there: “midnight 11/05/2008 PST” looks like mid May, but isn’t). Reminder: MySQL User Conference CfP ends in two weeks! Reminders work. At least on me. I try to Get Things Done (TM) efficiently, but slips do happen. And when they do, reminding me has a good chance to influence my priorities. I hope I’m not alone in this fallibility. And therefore I want to remind you that you’ve still got two weeks to reply to our Call for Participation in the MySQL Conference and Expo in Santa Clara, California on 20-23 April 2009. We have plenty already, but we’re looking for more proposals. It does make our selection process harder (that’s when the Program Committee sits down and asks itself “what’s right for the conference and its participants”), but that’s a task that we are happy to work on. The second Free and Open Source Conference "FrOSCon" takes place on August, 25th and 26th 2007 in Sankt Augustin, near Bonn, Germany. The conference is once again hosted by the faculty of computer science of the University of Applied Sciences Bonn-Rhein-Sieg in collaboration with the student body and the Linux/Unix User Group Sankt Augustin. In a Call for Papers, the organizers ask for submission of contributions. A broad variety of topics concerning free and open source software is desired.